As a wedding professional, you're busy doing all the tasks to keep your client's wedding day running smoothly. This means that social media, and especially blogging, tend to end up on the bottom of your to do list. I mean, what is more important, making the bouquet for Saturday's wedding? Or writing a blog post? The only problem is, writing the blog post? Sharing on social media? It is important too. This is where CoSchedule, and creating an editorial calendar, come in. 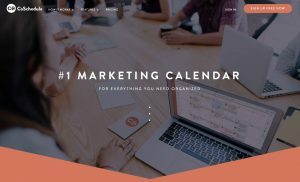 CoSchedule helps you plan and schedule all of your online marketing in one place. It is incredible for keeping your online presence up and running -- moving forward. Easily. It will quickly and easily become one of the most valuably members of your team. At the start of every quarter, we open up CoSchedule and plan out our calendar for the next 90 days. We review our calendar for any upcoming marketing requirements or events. Those go in the calendar first. Then we add any related blog posts or social media for them. Next, we look at regular features we post. For example, you might offer your audience tips on how to pick flowers based on what is in season at the time of their wedding, or if you're a photographer you might write posts on what to wear for an engagement session. If there are any holes in your calendar left, you can quickly and easily see them with CoSchedule so that you can fill in those blanks. Whether you write the posts immediately or just note the topics on the calendar is up to you. On the other days of the week, we plan out the rest of our social media campaign. Promoting older posts, posts that others have written, asking questions to spark conversation, or sharing inspiring quotes and messages, we have it all laid out in advance. We can set up our Twitter, Facebook (business page and for groups), Instagram, and Pinterest posts - all in one place. No more flipping from calendar to calendar! We use the CoSchedule WordPress plugin for this site; whenever we post a new blog post, we also schedule all the social media out for weeks - months - down the road. That way, our schedule is always full, even when we're too busy to sit down and work on it. 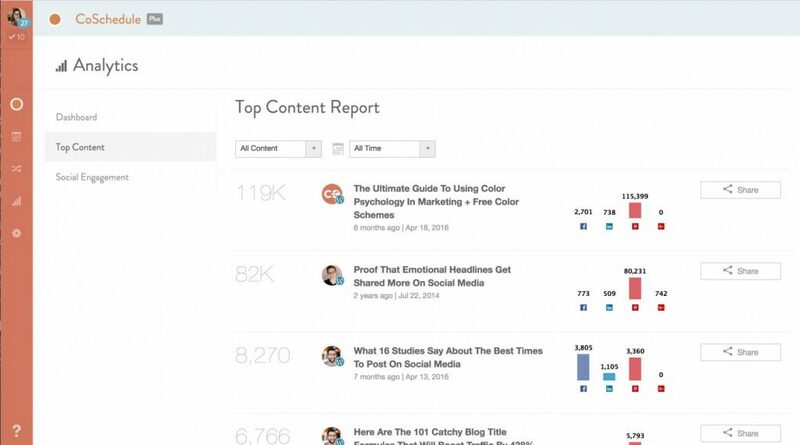 Later, you can return to CoSchedule to see analytics on your posts, and details on the top posts you've written. Quickly and easily, you can choose which posts to share again with your audience. Have you tried CoSchedule for your business? Or do you keep an editorial calendar some other way? Pen & paper maybe? Share with us - we would love to hear about your system!